Anita Higman is the author of 24 books including fiction, nonfiction, childrens books and plays. 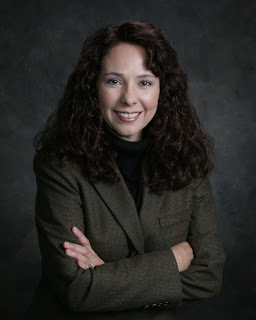 Among her published romance titles are Larkspur Dreams, The Love Song, and Castles in the Air, all coauthored with Janice A. Thompson. Her mysteries include Another Stab at Life and Another Hour to Kill. Anita is a member of ACFW and the Christian Humor Writers Group and she has been recognized for her involvement in literacy programs. A Texan for the past 24 years, Anita has coauthored an award-winning book about her home state, A Tribute to Early Texas. She lives with her family near Houston. The Abernathy sisters. One is bright, one is beautiful, but both are in love with the same man. One sister will let go of love, and like a kite string untethering in the wind, the choice will undo each of their lives. 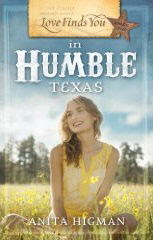 What will it take to heal their hearts, for love to find them in a place called Humble, Texas? Trudie Abernathy is a little inelegant, and she's never had much luck in love. To make matters worse, her thirtieth birthday is fast approaching and her sister, Lane, has decided to treat her to a makeover and a few blind dates. Trudie is about to protest, but then she meets the kind and handsome Mason Williamson. In spite of her humble manner, Mason finds her attractive, funny and smart. But Lane inexplicably pushes Trudie away from Mason and toward the other willing suitors. The makeover has transformed Trudie from ordinary into stunning, but she isnt sure how she feels about all the attention from men. Can Trudie stay true to her humble self and find her hearts desire in the process? This book started out a bit cheesy and I was afraid I wasn't going to like it. But it turned out to be a pretty good read. The way both sisters grow through the problem they find themselves in (liking/loving the same man) makes you think about your own life. I'm glad she made the sister's relationship a priority in the book. It's not a heavy book though, it was a pretty quick read and while it made you think it didn't make me depressed!